If you are interested in feeding your cat low carb food because you think it will be a healthier option, then read on! We’ve got in-depth reviews of the best options on the market. But if you want to change your cat’s diet because it is diabetic, then do please be careful. You really need to understand what will happen when you start transitioning your cat from its unhealthy diet to its new, better one. The main problem is giving the correct amount of insulin. If you make the change to a low-carb diet (good idea!) your cat’s need for insulin will be greatly reduced and quickly – so giving it insulin will cause new problems! Read this extremely good page for more help understanding the topic. Our Top 5 Picks for Low Carb Cat Food! A great food that helps to treat diabetic cats, this food is bursting with high quality protein and fatty acids that are vital to cats. This is the chicken flavor – always a favorite – and the poultry is not fed steroids or hormones or any of that garbage. The effect of this food on diabetic cats can be dramatic. One customer was given insulin for their cat and told by the vet to bring the cat in for testing on a monthly basis. Knowing a little about diabetes herself, the customer decided to self-test her precious kitty on a daily basis. She tracked her cat’s blood sugar readings before feeding, morning and night, and sure enough, the cat’s blood sugar readings went steadily down and they were able to reduce the insulin dose. The same customer reported a much healthier coat, no dandruff, and a big jump in energy levels. That story is typical (except the self-testing bit!) 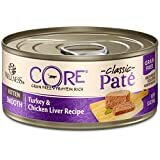 and if your cat is currently eating a dry, grainy diet, the Wellness CORE is bound to lead to great results. Complaints are usually limited to the price. While it might cost a couple of bucks per can – which might seem crazy – it’s probably worth it in reduced healthcare costs alone. Plus your cats will go wild for the taste. No more throwing away wasted food! Plates will be licked clean. I read one online comment that I totally agree with – the difference between CORE and a rival was the difference in quality between a Prime Rib and a Quarter Pounder. Described as “the perfect balance of nutrients and proteins that will keep your cat purring with contentment”, this food is responsible for bringing many diabetic cats into remission. Nutritionally, it’s just right for kitties with none of the gluten, byproducts, or excess carbohydrates you get in dry cat food or poor quality canned foods. Feed it to your cats and they’ll have smoother, shinier coats, shed less, and look healthier. The main downside with Fancy Feast is that it can make cats insufferable – they’ll follow you around demanding more, and they will try to shepherd you into the kitchen for another dose. One woman with an especially vocal Asian found that Fancy Feast turned feeding time into an episode of Homeland – loud, anguished wailing as though the cat were being tortured. This while the can is being opened. Then from the moment the can is open to the moment the food is on a plate in front of her, the cat would meow rapidly as though she were starving. This bonkers behavior just goes to show (in a weird, catty way!) how tasty this food is. It however, has a tendency to come in the occasional bad batch, leading to vomiting and diarrhea in some cases. It’s rare, but worth mentioning and it stops Feast getting to the number one slot. Nestle Purina PetCare - Misc. Developed to be safe and healthy for kitties with sensitive stomachs and systems – excluding corn and grains, which aren’t conducive to a well-running cat – this dry food’s formula is grain-free, high in protein, and of course, low in carbs. The number of different ingredients used is deliberately limited as this is thought to be better for cats with sensitive systems. It might be a good choice if your cat has allergies. Here’s a real-life story for you: A growing cat, just under a year old, was switched from dry kitten food to an adult formula. The result was unpleasant – bloody diarrhoea. The vet conducted a check-up and said the cat was actually fine! Just a problem with the diet. The owner switched from brand to brand, but since they all contained corn or rice there was no improvement. Finally the penny dropped, and the owner realised the carbs were the problem. With Pinnacle, the diarrhoea vanished overnight. This formula doesn’t have a bunch of garbage filling it out – just quality protein plus tomato pomace and cranberries. Cranberries have benefits in terms of a cat’s urinary tract, and the tomato adds some fiber. Good additions! Wet cat food is generally preferable to dry for many reasons, but mostly because cats don’t get enough water in their diet from dry food. (Hey, it’s dry!) But if you really prefer dry food for whatever reason, Pinnacle (or something similar) is a winner. The main downside is that it’s not currently on Amazon. If you have a well-stocked local pet store, great! But for those of us who like shopping from home it’s a bit of a shame. 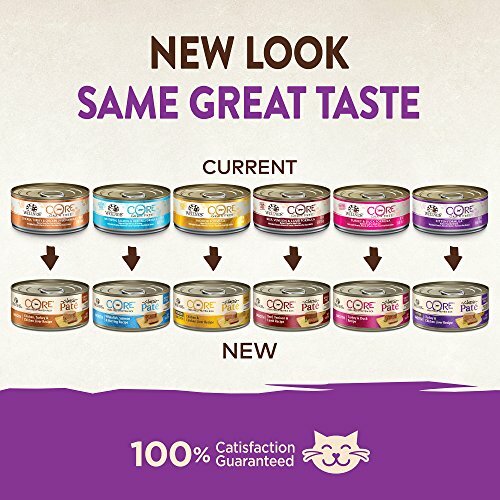 As you know, dry cat food has the problem of not delivering enough water to cats (they don’t get enough just from drinking water) and that’s where wet canned foods like this from Wellness come in. They boost your cat’s moisture intake on the one hand, while also providing healthy proteins and essential acids. Instead of being stuffed with unhealthy and unappealing grains, this recipe includes sweet potatoes and carrots to provide a kick of vitamins and minerals, and fresh, whole cranberries and blueberries to improve urinary tract health (see #3 above). And finally, there are many reports of Wellness-fed cats turning from sloths into panthers. Cats lose weight, gain energy, and clean their bowls. So far, so good. There are just a couple of problems that are a bit hard to understand. First, the product is quite inconsistent. A percentage of the cans come with food of a noticeably different texture, color, and smell. Now, every product has a bad batch now and then, but it happens with this product slightly too often to be a coincidence. The brand is normally high-class. Quite puzzling! The second problem doesn’t really relate to the product, but to the condition of the cans. So many come dented! Again, things sometimes get bumped in transit and personally I don’t mind eating beans from a dented can and my cat doesn’t care about that either. It’s just odd that it happens on such a scale, and the whole issue dents confidence in the brand itself. “Shredded Ahi Tuna.” Your cat’s ears prick up. “Topped with crab.” You have its undivided attention. “Prepared in a tuna consommé.” Your cat’s eyes roll back in their sockets, transported with delight. That’s right, everybody. When your cat asks for fish for dinner tonight, this is what he’s talking about. 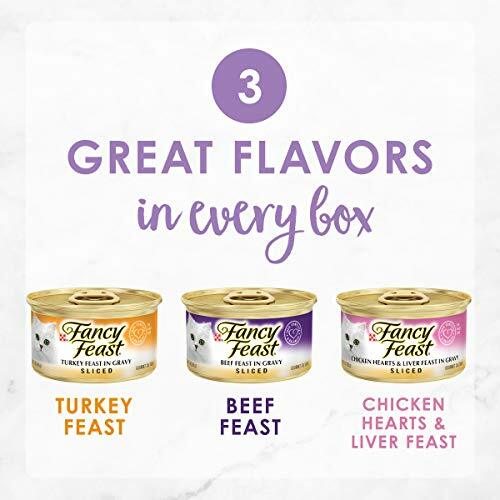 Apart from the sheer decadence of the high-quality ingredients, your cat will thank you for providing a zero-carb meal that’s grain-free and without gravy. It solves the lack of moisture problem you get with kibble. The downside is that it’s really fishy. Personally, I dislike seafood smells and it’s an ordeal feeding it to my cat. But it’s good to switch protein sources from time to time so I bit the bullet with this one. My cat loved it – practically inhaled the stuff – even if I had to wash my hands four times after dishing it out! The serving size is about perfect and will let your cat maintain a good weight. Petropics Gourmet Whole Foods, LLC - Misc. This is a kibble that comes with some raw pieces to help solve the moisture intake problem and make it more attractive for cats to eat. Be warned – the raw meat pieces are vastly in the minority compared to the amount of kibble per bag. The kibble is probably 95% of the contents. Having said that, it is fairly healthy. There are no grains, it’s low in carbs, and the freeze dried raw meat is theoretically a super idea. There just should be more for the price. So there you have, our top picks for low carb cat food. Good luck finding the perfect, healthy, low-carb fit for your picky (or not-so-much) feline friend!